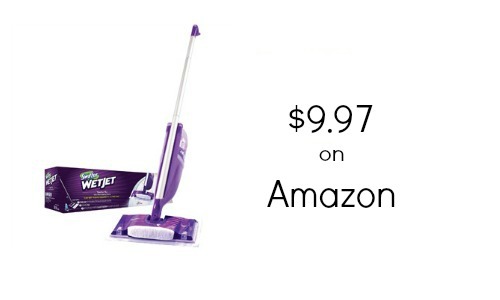 If you need a Swiffer WetJet Starter Kit, Amazon is selling one for $9.97 after you use this $5 coupon at checkout! Normally this starter kit is $22.95 on Amazon or around $18.99 in stores, so this deal is pretty hard to beat. The coupon is clipped automatically and will be applied when you add the item to your cart. You’ll get FREE shipping with Amazon Prime or if you have $35 or more in your cart.